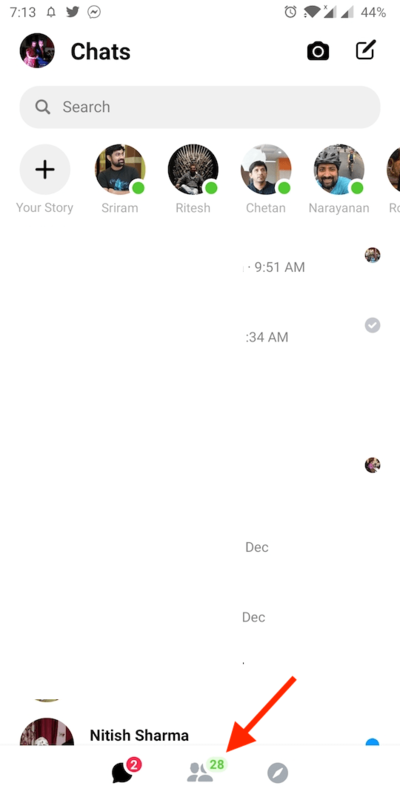 Facebook added the message requests feature in messenger back in 2015. This feature allows someone you’re not friends with on Facebook to send you a message. It comes handy as people can search for a person by their name and virtually connect with them via chat. 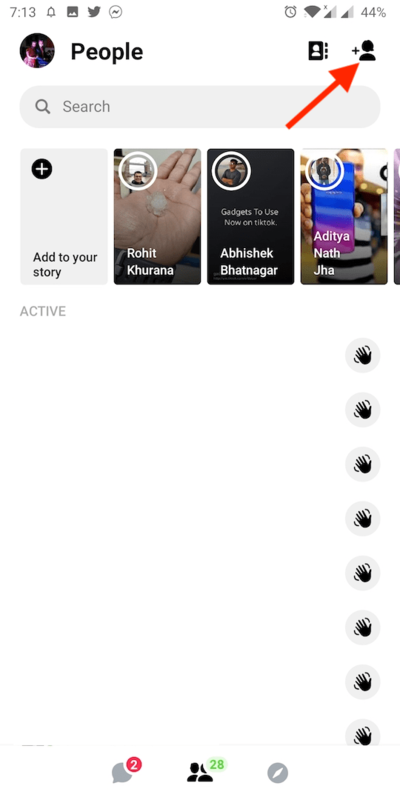 However, messages sent by people who are not on your friend’s list or mutual friends list are shown in a separate “Message Requests” folder. In case Facebook notices any spam attempts then it filters out such messages out of your requests. Surprisingly, the message requests option seems to be missing in the new version of Messenger for iPhone and Android. 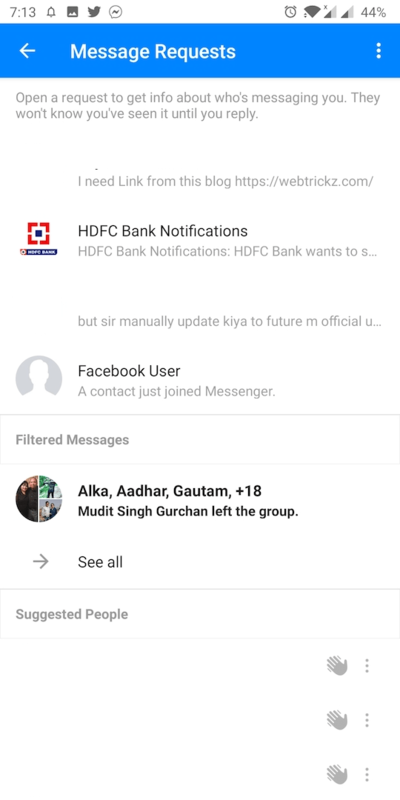 There are several users including us who are unable to find message requests on Messenger. Well, the feature still exists but Facebook has entirely changed its location thus making it really difficult to spot. 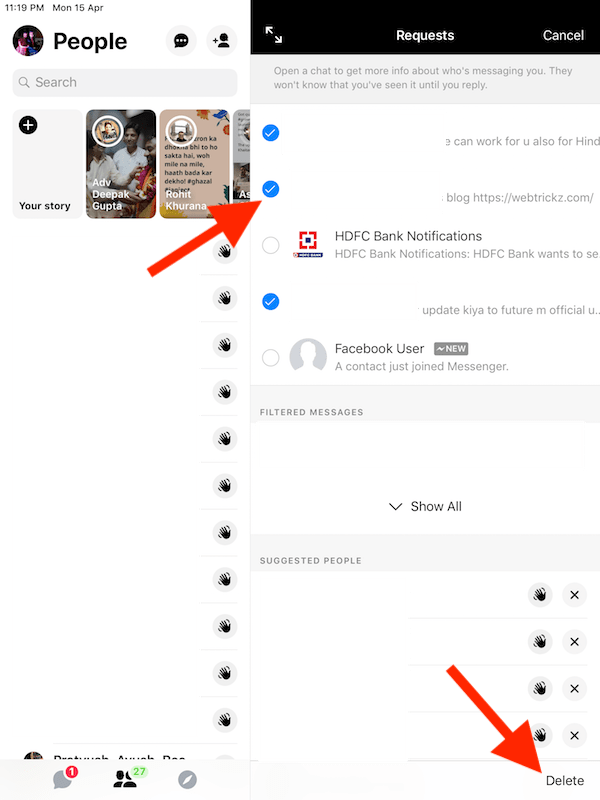 So let’s find out how to view message request in Messenger app. Make sure you have the latest version of Messenger installed. Open the app. 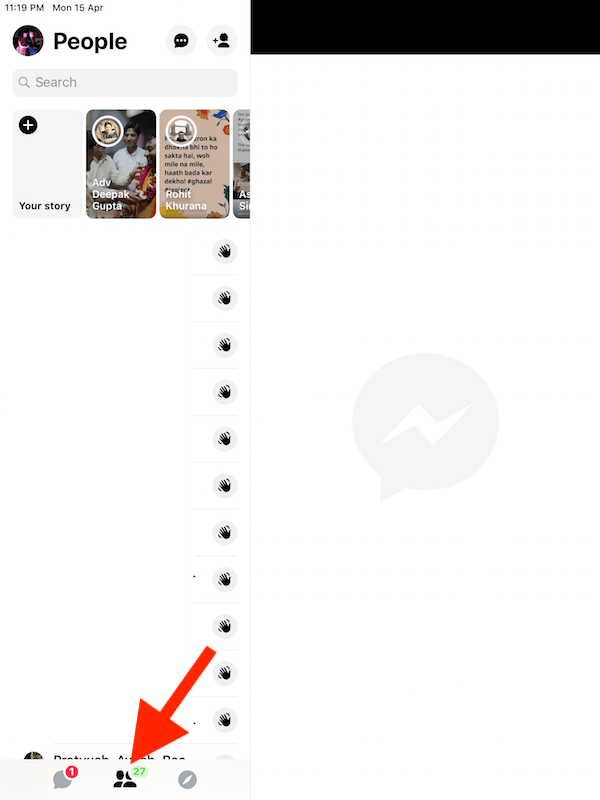 Tap on the group icon shown in the middle of the bottom tab. 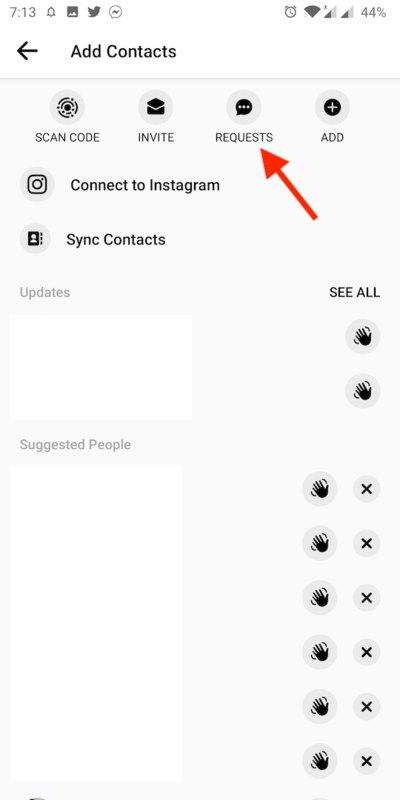 Select “Add contact” from the top right corner. Tap the “Requests” option from the top. Now you can see all the message requests. 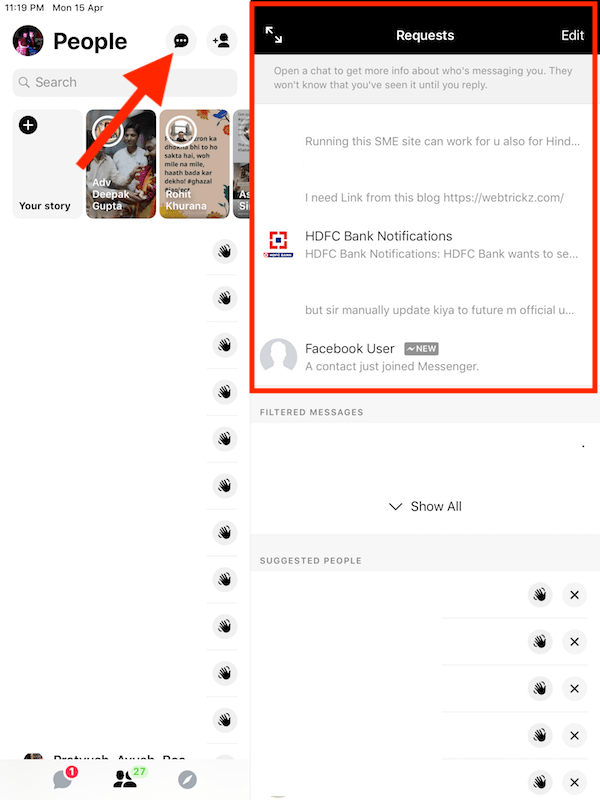 You can now open a particular request and read the message. It’s worth mentioning that the sender won’t know whether you’ve seen their message or not until you reply them back. If you reply, then the sender will be able to see your Active status, know when you’ve read their messages and even call you. Also, if you delete a message or connection request then you can’t see that message again. All of a sudden, the message requests option seems to have disappeared in the latest version of Messenger for iOS. Thankfully, it is still there but Facebook has once again changed its placement. In case you’re using the new v210.0 of Messenger on your iPhone or iPad then follow the below steps. Tap the group icon in the middle. Now tap the quote icon with three dots from the top left (Refer image). You can now see all the requests. Optionally, you can select the desired message requests and delete them using the Edit button at the top right.